Our Winter Newsletter contains updates on Making Tax Digital, Auto Enrolment, National Minimum Wage and HMRC's crackdown on landlords. The Pensions Regulator (TPR) reports that in the first part of 2017 alone, 136,000 small and micro employers began complying with their new responsibilities under the pensions auto-enrolment regime. That’s an average of one every 57 seconds. But with change ahead, it’s important to keep up to date with developments. The latest important deadline is 1 October 2017, as the regime enters a new phase, with no lead-in time for new employers to comply. From 1 October, any employer taking on staff for the first time immediately comes within the rules. Those who have employed staff before 30 September 2017 have different deadlines – see the ‘Duties Checker’ section on the TPR site. The first step in employer compliance involves assessing staff on the basis of age and earnings. Staff aged between 22 and State Pension age, who earn over £10,000 pa, (£833 per month or £192 weekly), must be put in a pension scheme, to which both employer and employee contribute. But employer involvement doesn’t stop there. If staff don’t need to be put into a scheme, there’s still a declaration of compliance to be made, and ongoing duties, including keeping track of employees’ age and earnings each time they are paid, managing requests to leave or join a pensions scheme, and a three-year cycle involving re-enrolling employees who have opted out. The next major change to the regime is the increase in contribution rates from April 2018. From 6 April 2018 to 5 April 2019, employer minimum contribution increases to 2%, and from 6 April 2019 onwards, it rises again, to 3%. Failure to comply can result in fines and being named and shamed on the TPR website. TPR is particularly vigilant regarding compliance: it has warned that it will prosecute for failure to provide information in the course of its investigations, and has initiated a first prosecution where an employer is held to have deliberately failed to put staff in a workplace pension. You may not think of yourself as a landlord – but do HMRC? 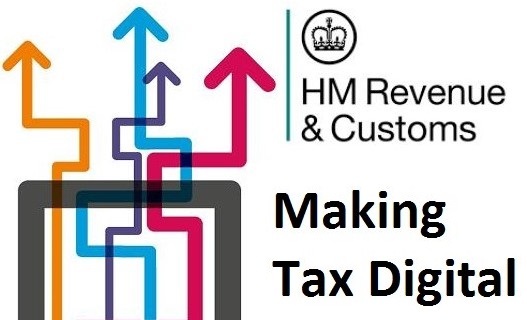 From time to time, HMRC run campaigns targeted at specific business sectors to help people bring their tax affairs up to date if they have inadvertently fallen outside the rules. At present, they are running a let property campaign, aimed at individual landlords letting out residential property abroad or in the UK, and recent guidance shows some of the ways that landlords can sometimes make mistakes goo.gl/hTFbX5 One of the most common mistakes is that people simply don’t think of themselves as landlords. This can happen when someone inherits a property and then lets it out, or if they move in with a partner and then rent out their old house, or rent out a flat just to cover the mortgage payments. In fact, each of these scenarios means that HMRC need to be put in the picture, and the rental income could be liable to tax. But it’s not all bad news. One plus point for individuals (but not partnerships) letting out property on a small scale is the introduction of a new allowance – the property allowance – from 6 April 2017. There has been quite wide-scale coverage of this in the media earlier in the year. However, the allowance only gives relief for income of up to £1,000 in the tax year. There can be unforeseen pitfalls – and tax planning possibilities – when letting out property. Please do talk to us if we can be of help in this area. NMW (National Minimum Wage) is the least pay per hour most workers are entitled to by law. The rate is based on a worker’s age and whether they are an apprentice. NLW (National Living Wage) applies to working people aged 25 and over. From 1 April 2017, the rate ranges from £7.50 per hour for those aged 25 and over, to £3.50 per hour for apprentices under 19, or for those aged 19 or over who are in the first year of an apprenticeship. Changes to NLW rates are in the pipeline from April 2018, so employers may need to plan for these now. Not everyone qualifies for the NMW/NLW. These include people who are self-employed: volunteers: company directors: family members, or people who live with an employer and carry out household tasks eg au pairs. But most other workers are entitled to NMW/NLW, including pieceworkers, home workers, agency workers, commission workers, part-time workers and casual workers. In calculating pay for minimum wage purposes, the starting point is total pay in a pay reference period – before deducting income tax and National Insurance. Some payments are not included, such as loans and pension payments.